Test matches between India and Sri Lanka, going on for the past 35 years, have mostly occurred sans the hype associated with some of the storied rivalries in the game. But the clashes between the two neighbours have always had a sense of competitiveness within them. In the 207 international games (41 Tests, 155 ODIs and 11 T20Is) that these two Asian powerhouses have played against each other, it is India who have managed to gain the upper hand across all three formats. Particularly in Tests, India have won 19 and lost only 7 out of the 41 matches. Among those, there have been quite a few games where the two teams played brilliantly to produce fascinating action. Let’s look at five such entertaining Tests between India and Sri Lanka. In 1997, India and Sri Lanka played five Tests in the span of four months. And surprisingly not one of them produced a result. After playing a high-scoring series in Sri Lanka in August 1997, India dominated the first Test in Mohali before rain played spoilsport in the second Test at Nagpur. So, the stage was set for a decider with both teams aiming for a series win. Sri Lanka opted to bowl first on a helpful Wankhede track. The decision seemed to backfire as India posted 512 after being 55-2. 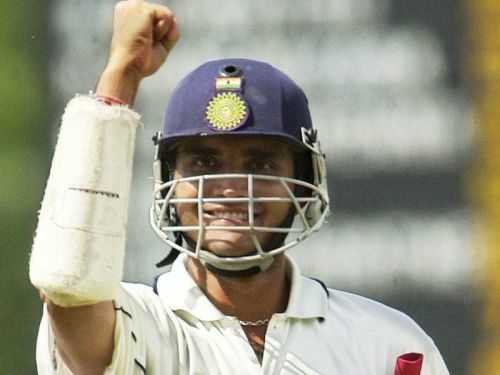 Sourav Ganguly (173) and Sachin Tendulkar (148) not only scored majestic hundreds but also combined to form a mammoth 256-run stand for the 4th wicket. But a lower-order collapse meant India lost momentum as they were bowled out for 512. The hosts lost their last 7 wickets for just 41 runs as Sri Lanka came back well to restrict them. Sri Lanka, in reply, started off positively as they were placed at 180-2 at one stage. But none of their batsmen could convert promising starts and the visitors were bowled out for 361 which saw them concede a big lead of 151 runs. Sri Lanka’s bowling, which was under scrutiny in the first innings, came to the party as they kept chipping away with wickets which ensured India didn’t score quickly. However, the visitors were set a target of 333 in 94 overs. The Lankans needed to bat out a little more than a day. The start, like the first innings, was positive as Sanath Jayasuriya and Marvan Atapattu stitched a solid 58-run opening stand. But as soon as that stand was broken, the visitors lost wickets at regular intervals as they tried to defend through the final day. Aided by some rain and bad light and some gritty batting from Roshan Mahanama and skipper Arjuna Ranatunga (both of whom were eventually dismissed), Sri Lanka escaped with a draw. At 166/7 and with 12 overs to play, India would’ve certainly fancied their chances but it wasn’t to be as a fifth consecutive stalemate between the two sides ensured the series ended in a draw as well.